Experience the quintessence of timeless and easygoing style with the Yves Saint Laurent Jazz Eau de Toilette, a spontaneous scent first introduced in 1988. Fresh and vibrant coriander relays a virile masculinity, before a heart of geranium and artemisia increase the warm sensuality. The dry down becomes warmer still, until a sombre and mysterious patchouli note rounds off the dynamic scent. 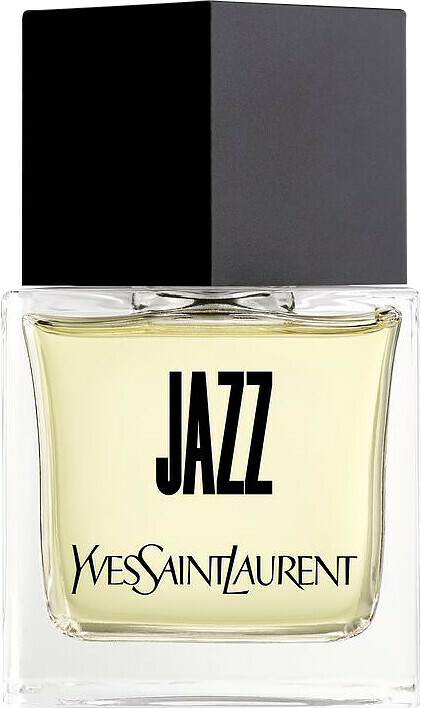 Yves Saint Laurent Heritage Collection Jazz Eau de Toilette Spray 80ml is rated 4.5 out of 5 by 2. Rated 5 out of 5 by GRANDMABEE from DELIGHTED I am delighted to find this product is now back on sale as it is a favourite of the males in my family. Rated 4 out of 5 by ironman from Jazz hits the right note! A super oldie that holds its own today. Very clean and masculine. The original version is great. Sillage and longevity are A1. Worth buying for the nastalgia of it.